Dead Air Ep 17: Nightmare City! In this episode Wes and Lydia head to the Nightmare City. Secrets revealed about how much of a scaredy-cat Wes is and that Lydia is the woman without fear! Also, Wes gets on his high-horse about film-making! 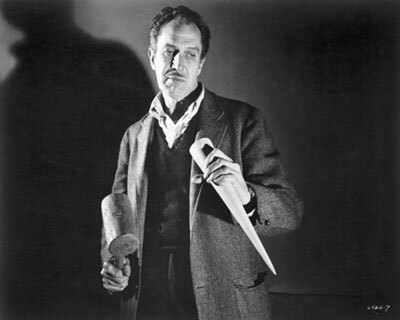 Awhile I ago I was writing about the zombie genre through the last hundred years or so in film, when I got to Night of the Living Dead, I explained that Romero’s inspiration for the Ghouls that devoured the flesh of the living was derived from Richard Matheson’s novel I Am Legend. A lot of you will be familiar with the 2007 film starring Will Smith. When I am Legend was about to hit theatres, they were saying that it was based off of the novel of the same name, and some people went as far as to mention that the 1971 film The Omega Man starring Charlton Heston was also an attempt to adapt the novel. 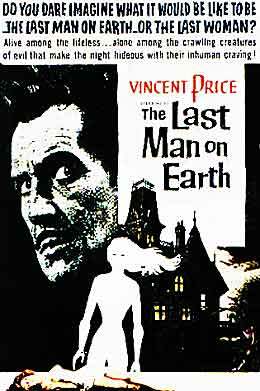 But before all of that, before Will Smith and Charlton Heston and before Romero would reshape the entire concept of what a zombie was; there was the 1964 film called The Last Man on Earth that starred the great Vincent Price. I came across this movie completely by accident. A few years ago I had bought one of those giant movie pack box sets. You know the ones? 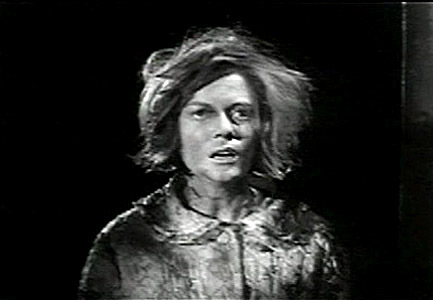 Like fifty classic horror films all in one package (all public domain films). I was shuffling through the titles after I got home and that title in particular intrigued me enough that it was the first movie I watched out of the set. About halfway through my young ignorant mind made me say “wow this is just like I am Legend, I wonder if this is some first attempt at the movie?” well it obviously is and even though I have never read the book by Matheson, I have seen all three of the interpretations of the book on film and this one is easily my favourite. Like I said the movie was released in 1964 (a short ten years after Matheson wrote the book) it was actually partially written by Matheson aswell but he didn’t like it and decided not to get credited on it. The movie starts with showing Dr. Robert Morgan’s (Price) daily routine. He wakes, he checks his home’s security, Mirrors and garlic, he eats even though he finds the process boring and only a means of survival, he runs down everything he has to do, remove bodies from his property and take them to a giant pit to be burned, he needs gas and more garlic, he makes stakes and then goes hunting. That’s right it’s another vampire flick and I swear I don’t mean for them to come up as often as they do. A good portion of his day also consists of going door to door in his city killing as many vampires as he can. There are a series of flashbacks that start to explain what happened. Three years ago, a strange plague coming out of Europe started to sweep the world. It’s an air born virus and it threatens to reach the United States. Dr. Morgan is optimistic, and has a staunch scientific mind that refuses to believe in the concept of a universal disease that could wipe out everyone. He and his friend Ben Cortman work at the Mercer Institute of Chemical research and are one of the many global facilities trying to find a cure. Cortman is more inclined to believe that there might be no hope and that the rumours of some of the dead coming back to life are coming back as vampires; showcasing all of their weaknesses and desires and that the government is trying to cover up knowing the truth. Soon the plague starts affecting Morgan’s own family, his young daughter (Christi Courtland) loses her sight and blindly paws at the air. I think it was supposed to be tragic but it comes off as pretty funny in my opinion. His wife (Emma Danieli) succumbs soon after and is the first person Morgan sees comes back to life and he is forced to kill her. The ghouls that return are pretty different from any interpretation I’ve seen. They are zombie-like, with barely any intelligence or strength. Morgan lives in a basic two story house and they can’t seem to break in at all. His friend Ben (now a vampire-ghoul-thing) constantly calls his name and tries to pathetically get through the door. 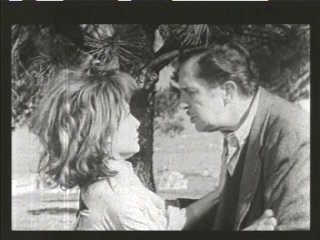 The film hinges on Price’s performance. Morgan is a broken man, who does nothing but survive, he watches old home movies, and just breaks down into a hysterical fits of laughter that soon turns to tears as he remembers the life that will never be. He doesn’t even have any characters to interact with until towards the end of the movie he first finds a dog, that he befriends (this was what tipped it off to me that it was similar to I Am Legend) sadly he realizes that the pooch is infected and has to take ole yeller out back…if you know what I mean. Later things get interesting when he meets a woman named Ruth Collins (Franca Bettoia) she exhibits some signs of vampirism but is somehow able to keep command of her mind. It’s revealed that while a majority of the vampires are nearly mindless ghouls, there does exist another kind who are intelligent and are attempting to rebuild their society. This is where the message of the film seems to come into play. Morgan is the last man on earth and now is the one person who is unlike the rest of society and therefore the true monster. In the Omega Man and I Am Legend the films end with a glimmer of hope. One that might suggest that mankind will make a comeback, but not this one. Last Man on Earth ends telling us that the age of mankind is over. The final moments of the film are just fantastic and overall this is worth a watch. Like I said its public domain and can be found just about anywhere. See yah next time and thanks for reading! A recent comment I read about the “Found Footage” Horror Genre by one of my facebook chums has inspired me, probably to the detriment of most my audience, the origins of the genre. Many people most closely associate this particular genre with The Blair Witch Project, the little independent film that came out in 1999, and it makes sense for them to think that. Before the Blair Witch, however, there were a number of “found footage” films which were small, independent ventures. The first I remember ever watching was “The McPherson Tape” which I might get to reviewing one day. Right now, though, I would like to take this time to talk about the grandfather of all Found Footage horror movies which, I might add, is the very first one: Cannibal Holocaust. Cannibal Holocaust was released in 1980 by Italian director Ruggero Deodato it was written by Gianfranco Clerici. The two would collaborate on a number of films but this one, as you’ll find out, is easily one of the most controversial horror movies of all time. The film depicts the actual killing of several animals for the purpose of filmmaking. As such, the film was banned in several countries for animal cruelty and, while some have lifted the ban, it is still in place for many countries. Deodato was charged with murder because authorities believed that the depictions of death were actually authentic and that Cannibal Holocaust was an actual snuff film. It didn’t help that Deodato had all of the actors on a public appearance ban for one year in order to make the illusion seem real. After an extensive search, all actors were found and the charges of murder dropped. Sooo what’s this movie even about anyways? Well I will do my best to give a synopsis that doesn’t give too much away. The film starts off with a documentary about a missing American film crew who went to shoot a documentary about cannibalistic tribes in the Amazon. The team that goes to find them are another film crew and an Anthropologist named Harold Monroe. What they find is a tribe that is very hostile towards them, but after some convincing they are finally led to a shrine of bones which are soon revealed to be the bones of the original film crew that went missing. Hanging from the bones are film reels that the natives allow them to take. Monroe and his team take it back America to see the raw footage and present it as a documentary. The reels are reviewed and thus the “found footage” portion of the film begins. The rest of the movie shows the film crew trekking through the jungle, killing animals for food and, again, this is where the actual animal cruelty comes in. Eventually their guide is bitten by a snake and they are forced to continue on their own. The tribes people are tortured and humiliated in various ways for the sake of the film crew’s movie, and it becomes very clear to the audience that they are essentially the villains of the story who have no regard for the natives, the jungle or, ultimately, even each other. I will spare you the gory details, but rest assured there is plenty of death, blood and cannibalism to justify the name of the movie. In some unedited versions, there is even a montage at the end that takes real news footage of executions and puts them in for even more realism. So, is it good? I would say it’s an interesting piece of film history and, whether or not you agree with it, the choice to actually kill animals and then putting the news footage at the end tricks the audience into thinking that maybe the film crew and some natives were really killed. It certainly worked on Italian authorities. The film’s merit relies on the somewhat heavy-handed message that perhaps it’s the modern world and the media who are the real monsters, or cannibals in this case. A somewhat cliché argument if you ask me. For horror fans and film buffs, this is something you shouldn’t pass up. That being said, I do not recommend this movie to anyone squeamish in the “general population.” Stick with the latest from Pixar or something. ANYWAY that’s it for now.